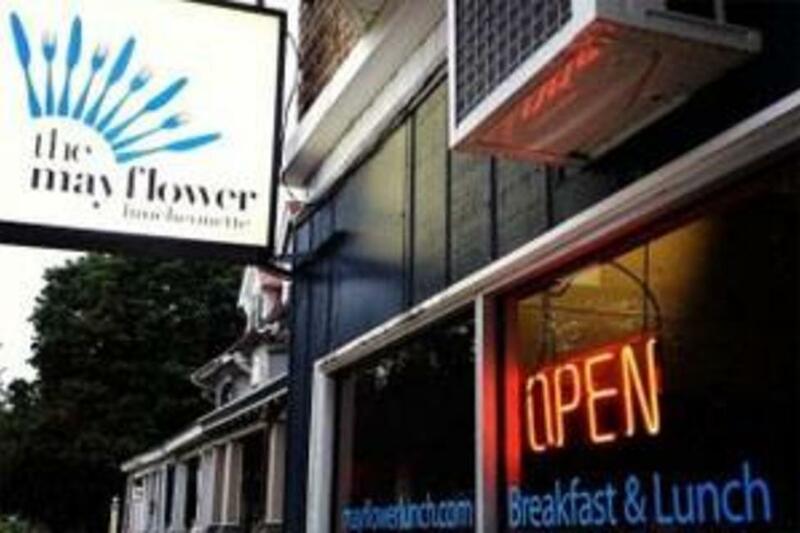 The Mayflower Luncheonette, a mainstay on the north side of Bethlehem for more than 50 years, is the perfect place to go if you’re craving authentic home cooking just like mom used to make. Walking in I always feel right at home grabbing a seat in a pink booth in the quaint friendly atmosphere at Mayflower. Owners Bill and Candi Staurinos are the most inviting people you’ll ever meet, and often strike up conversation to get to know their patrons. Bill is also the chef at Mayflower and always greets people with a warm smile. Whether you’re in the mood for a hearty breakfast or a healthy lunch like the Veggie Greek with spinach, tomato, onion and feta topped with tziki sauce lovingly wrapped in a grilled pita – you’ll leave feeling full and happy. On Tuesdays, Mayflower features a special authentic Greek Island menu that is to die for. My personal favorite is the Vegan Dolmades, which are rice and onion stuffed grape leaves. I really enjoy having them with the Avgolemono, lemon chicken egg drop soup, for a light lunch. Another reason to stop by and grab a seat at the counter on Tuesdays is the Baklava, yum! When it comes to dessert, normally I am not a fan of rice pudding, but I have to say that the rice pudding here changed my mind, it’s wonderful and has the perfect texture. Open Monday through Friday from 6 a.m. to 3 p.m. and Saturdays from 6 a.m. to 2 p.m., definitely stop by if you haven’t already. Just remember to make a pit stop at the ATM beforehand, as Mayflower is cash only.